I still remember clearly when my friend Keith More first mentioned the unfamiliar idea that the book of Revelation was about the destruction of Jerusalem. I had always been told Revelation was about Rome in 96 AD, and Jerusalem in 70 AD didn’t ring any bells for me. The argument I’d learned for a later date (96AD) was based on external evidence, and while I was persuaded, I felt a little challenged by my friend Keith, because, well to be honest, I’d never actually looked at the internal evidence of Revelation. So at first hearing I rejected Jerusalem simply because I knew nothing about it - we humans seem to have an almost supernatural fear of the un-familiar – but later I overcame my initial mental-inertia and turned a page of the Greek bible to check it out. Here’s what I found: the word city (Greek polis) occurs twenty-eight times in the book of Revelation. Of these polis occurs twenty-seven times in the singular. (Only Rev.16:19 is in the plural). Of these singular occurrences the term polis refers to the holy city New Jerusalem thirteen times, and fourteen times polis refers to ‘Babylon,’ the ill-named ‘holy’ harlot city. Here are the occurrences of polis in the Apocalypse. Almost ten chapters of the Apocalypse are taken up with the destruction of the doomed holy-city Sodom/ Egypt / Babylon. In contrast only the final two chapters deal with its sister-city alter-ego, New Jerusalem. Why was the harlot city called the ‘holy city’, ‘beloved city’, ‘camp of the saints’, and why did it have the ‘temple of God and the altar,’ and an ‘outercourt given to the nations’, ‘where their Lord was crucified?’ Weird: this didn’t sound like Rome or Babylon to me. However it was this strange tension between holy city and harlot city that Most intrigued me. Why was the holy city to be trodden underfoot for forty-two months? (Forty-two months equals three and a half years, twelve hundred and sixty days, time, times and half a time). This sounded like Jerusalem. This passage in Luke’s Jerusalem prophecy seemed a pretty near fit between biblical prophecy and events shortly to come to pass in Revelation forty years later. (In 70 AD). Jerusalem was certainly the holy city of the bible: this is just a plain fact. Rome was never mentioned by any bible author as the holy city. That was unthinkable. The sacred term holy city was only ever applied to Jerusalem by the ancient prophets, and Revelation was plainly the most prophetic book in all scripture. Other things made me think. The temple of God, was located in the harlot. city, which was consistent with Jerusalem, as was the idea that it was about to be trampled underfoot: which historically occurred in a time frame of three and a half years, which tied in with the same period of 1260 days or forty-two months. The idea of Jerusalem as the harlot city was also echoed by passages like Isaiah 1:21; how the faithful city has become a harlot? and Isaiah 1:10 where Jerusalem is called Sodom. I knew a good theory should also answer more and more facts, so I wondered what would happen when I considered other facts like time and place? In time Jerusalem answers the generational span in Matthew 23 and 24 consistently with Revelation’s time span of: ‘shortly to come to pass’ ‘quickly’ ‘shortly.’ ‘every eye shall see Him, even those that pierced Him,’ the destruction of the Mosaic temple and the end of the Mosaic age. (Matt 24:1-3). 2000 years that’s all.” (I never felt comfortable mumbling this excuse). 3. eliminates the need to add invisible gaps between verses and chapters. 7. eliminates the need to invent ‘multiple second comings’. None of these seven futurist arguments have any basis in observable. Biblical fact. :They all follow from futurism’s historical ignorance of first century facts and a supposition of literalism. But I still had doubts because I had this lingering picture in my head of Jesus coming back in the clouds riding a horse and wearing a white robe. 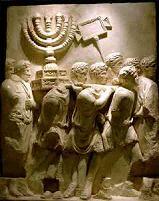 A first century Jerusalem-harlot raised many new problems to solve. The thing I liked about a Preterist (past) view that it made sense of more and more facts by observation, and not by the opinions of scholars. I felt really comfortable seeing the connections with my own eyes. The problems I decided to defer until later, but first things first. How far had I come? To my mind the safest course in life is to trust known facts: they are like fixed stars in the night sky. Facts are eternal. To the captain of a sailing ship the stars are his guideposts. The ship leaves the dock and the security of land to venture over wide oceans, the destination is far off and unseen. During the voyage the captain must navigate in the dark over unmarked shoals and reefs, at other times plunging madly through white caps breaking over the bows in sprays of foam. Every voyage has risks and danger. The navigator knows he cannot control the sea, and does not care much that he cannot see land, but he surely makes his daily sightings with care. Safe landfall comes when navigation is correct at each point of the way. It is simple logic. The workings are everything. If the observations and reasoning are correct, the correct outcome, the destination will appear. I leave it to the reader to compare their observations and sightings in scripture with the following workings of my own navigation. In Part II some aids to study will be considered.